Recently, I was craving a *good* burger. Like a really good one. And for some reason, I’ve been on a chipotle kick so guess what I put on my burgers? 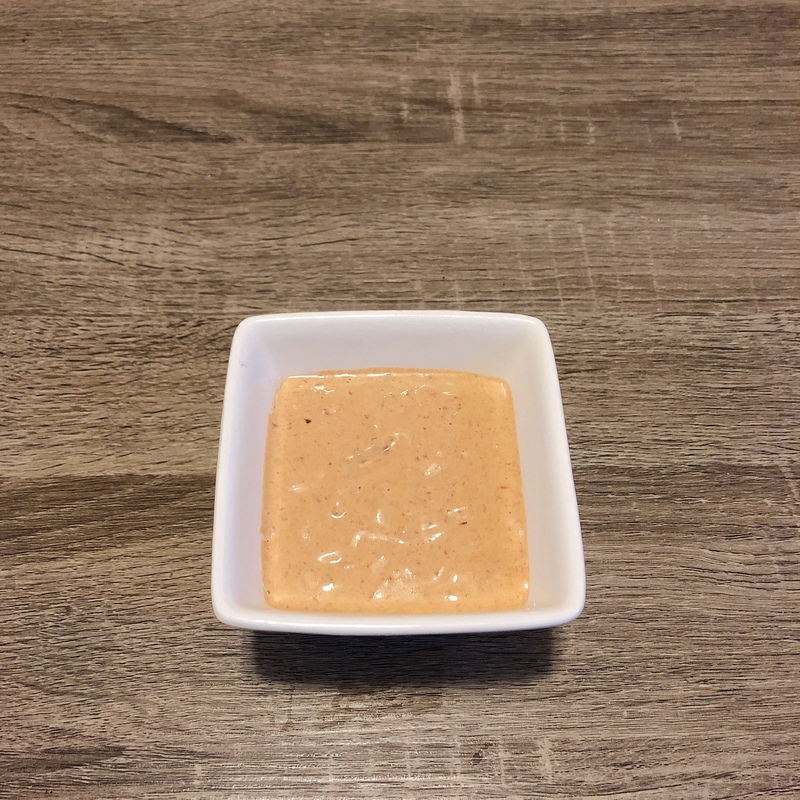 I made a spicy, chipotle aioli that I slathered on toasted buns! 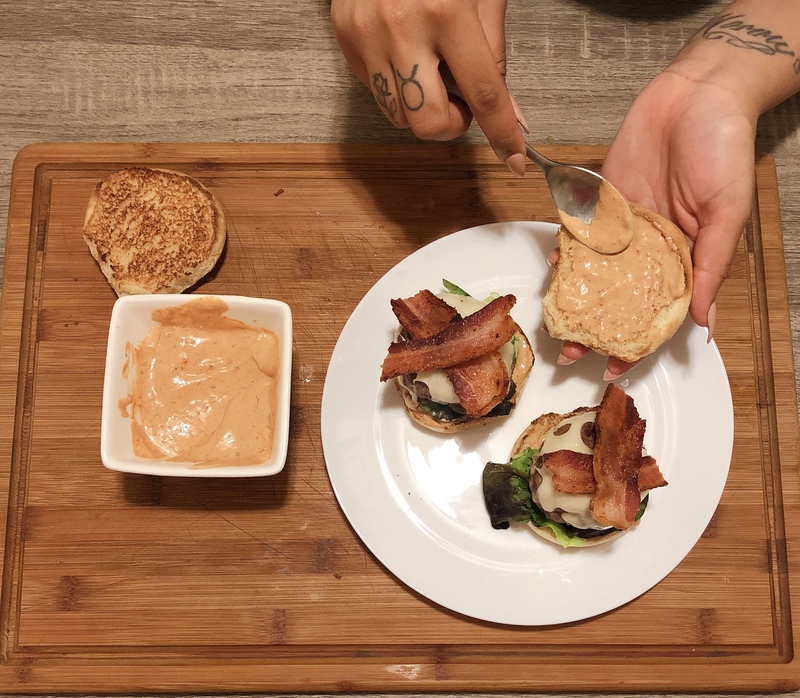 Check out how I made this yummy burger here! 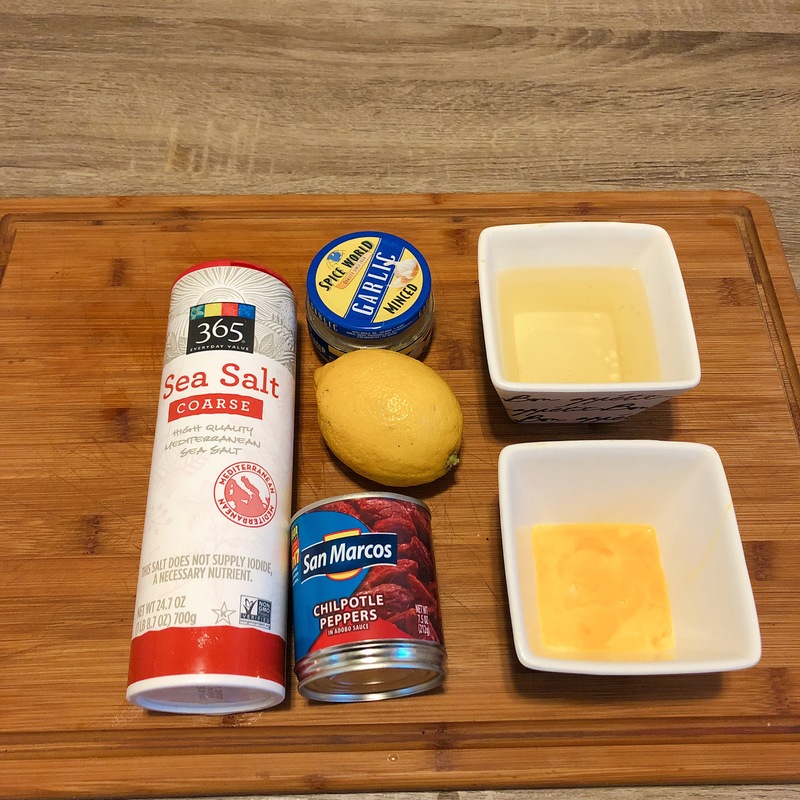 To make the aioli, combine the eggs, lemon juice, garlic, sugar, salt, and the chipotle peppers in a food processor or blender. Pulse to combine. 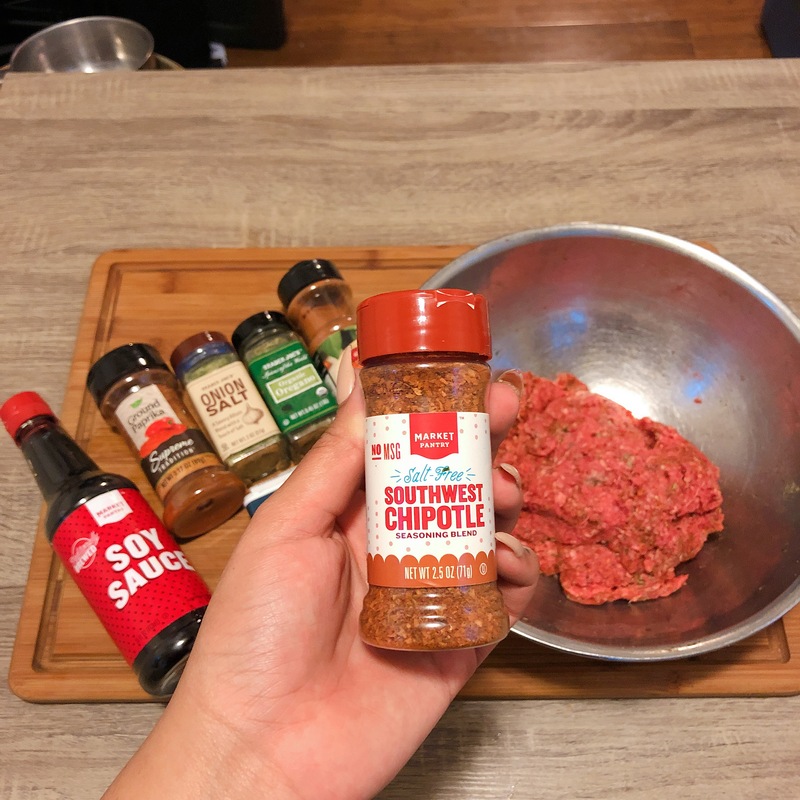 For the burgers, take the pound of ground chuck, onion salt, dried oregano, cayenne pepper, garlic powder, southwest chipotle seasoning, paprika & soy sauce. Mix together until the season is combined. Cook the bacon at this time to cook the burger in a tiny bit of bacon grease. Cook the burger on 3-4 minutes on both sides for a medium burger. 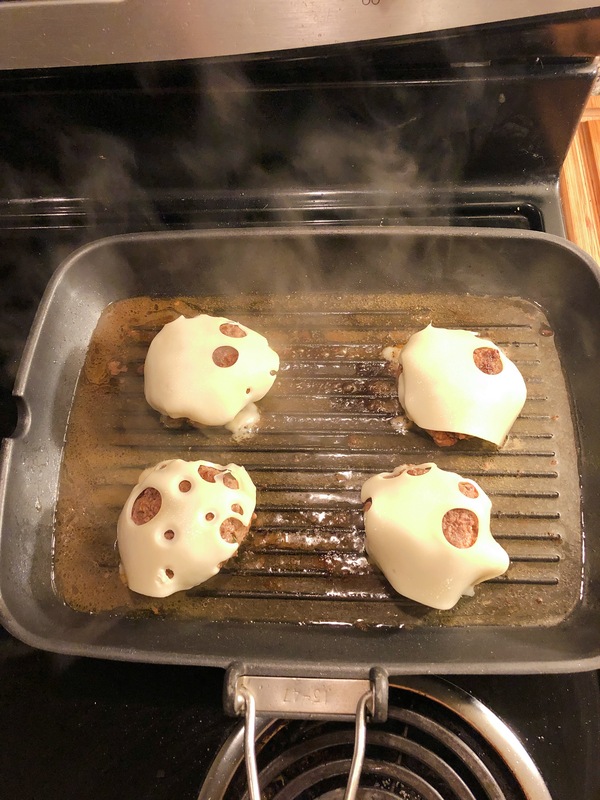 Towards the end of cooking the burger, put a slice of Swiss cheese on the burger so it can melt. 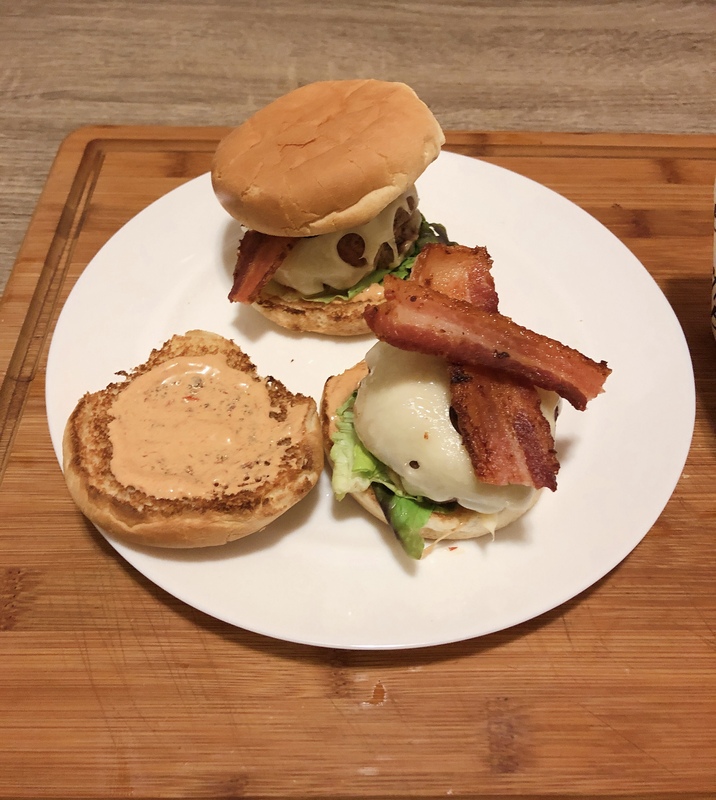 Once the cheese is melted, put the aioli on both buns, then the lettuce, burger & bacon. And there you have it, delicious, spicy cheeseburgers! ← Spooky Treats: Pumpkin Spice White Russians.